You are invited to come join us in worship and service to the community. Please join us as we lift up Jesus Christ in our worship. Established in 1867, our church has its roots in post-Civil War Appomattox Court House, first holding services in the Union Academy. The church has been at its current location on Oakleigh Avenue in Appomattox since 1901. Our congregation is one that prays together and plays together. We have weekly fellowship time following 11am worship each Sunday. In addition we break bread together at Easter Sunrise Brunch, Thanksgiving Lunch, and a Shrove Tuesday Pancake Supper annually. Our women's group gathers for lunch and we often host showers and celebrations in honor of births, marriages, and other special occasions. Music is a large asset to our church which includes an adult choir, a bell choir, and a family praise band (piano, mandolin,guitar, bass, and violin). The bell choir often appears in benefits and revivals at other churches. We offer several opportunities for Christian Education. 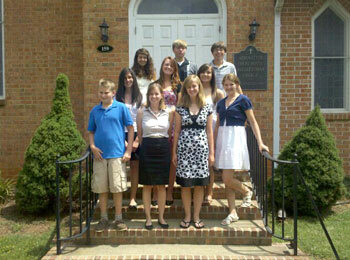 Adult Sunday school is held each Sunday morning at 10am and taught by congregation members. 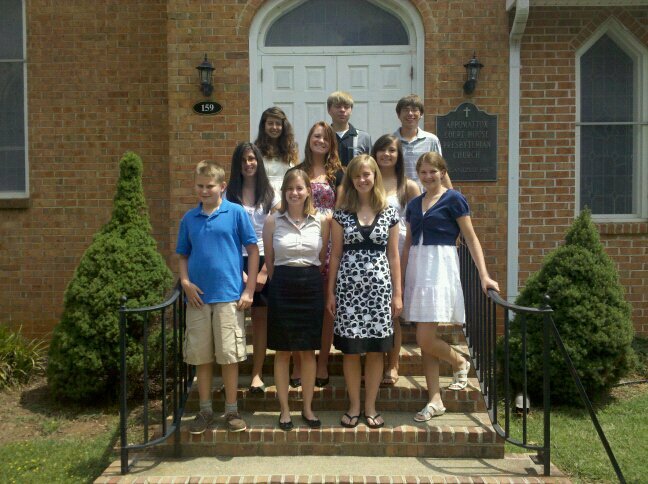 We also offer youth Sunday school each week. 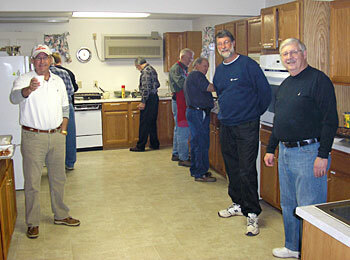 There is a Women's Bible Study and Men's Fellowship held monthly as well as a seasonal book club. We are dedicated disciples of Christ. The church is actively involved in community mission projects, such as providing supplies for schools, collecting clothing for the Good Samaritan Clothing Exchange and food for St. Anne’s Food Pantry. Each year we participate in the Appomattox Railroad Festival selling $1 hot dogs as a service to those on a budget. This money is put back into the community. We also give to the community through the Appomattox County Ministerial Association. The congregation participates in Operation Christmas Child and Angel Tree ministries annually. A large percentage of our membership is active in the Lions Club, the Chamber of Commerce, the Women’s Club and other civic organizations. For the past two years we have volunteered time to The Evergreen Music Festival with our mission projects as the beneficiary. 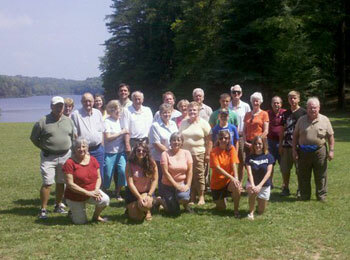 We have hosted a yearly Vacation Bible School and in some years yoke with other congregations. 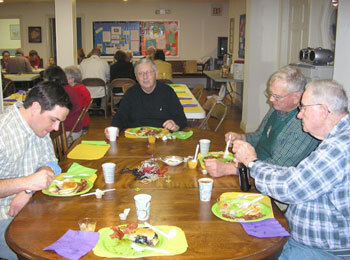 The congregation seeks to be a positive asset to the community. Reverend Janice Fraser was born and raised in Cleveland, Ohio. In high school and college Janice volunteered as playground and then camp counselor for inner city children and later was a big sister in the Big Brother/Big Sister program. She graduated from Ohio University with a degree in Social Work. Janice worked as a legal secretary for 23 years in both Cleveland and Tampa, Florida. In 2000, she graduated from Union Presbyterian Seminary in Richmond, Virginia with a Masters Degree in Divinity. Janice did chaplaincy work in a Richmond, Virginia hospital and has served churches in Tennessee, West Virginia, and Florida. 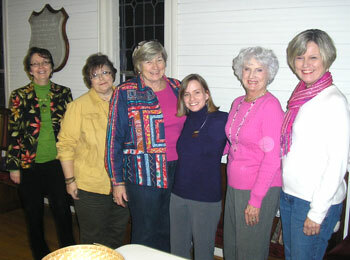 While in West Virginia, She was a member and then chaired the Presbytery’s Committee on Preparation for Ministry. 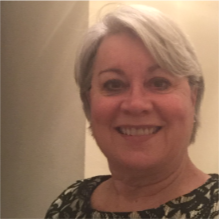 In November 2017 Janice answered a call to serve both Appomattox Court House and New Concord Presbyterian Churches. Janice enjoys the outdoors, likes to walk (not hike! ), loves the ocean, the beach, and its laid-back atmosphere.